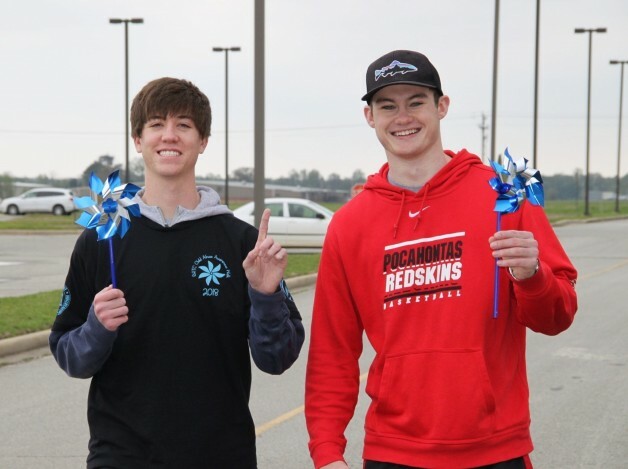 The BRTC Student Government Association and Community Connections Club is hosting the 4th Annual BRTC Child Abuse Awareness Walk. This event will be held at the Randolph County Development Center on April 30. Registration starts at 11:30 a.m. and the walk starts at 12:00 p.m. A Pinwheel Garden Ceremony will take place after the walk at 12:30 p.m. Registration fees are $12 for BRTC students, faculty and staff, and $15 for the general public (registration fee includes a t-shirt). T-shirts will also be sold at the event. Proceeds from this event will benefit local children’s shelters, and children’s book donations will be accepted at the event. For more information about the walk, contact Rachel at (870) 248-4172 or email her at Rachel.Koons@blackrivertech.edu.